Once the page is open, enter the email address of the victim account that you want to hack. Now, click on “HACK” option to initiate Facebook Account Hacking process.... How to hack open Facebook account. Here i am telling to you how to hack open Facebook account just in few minute. This trick only work on Open Facebook account. 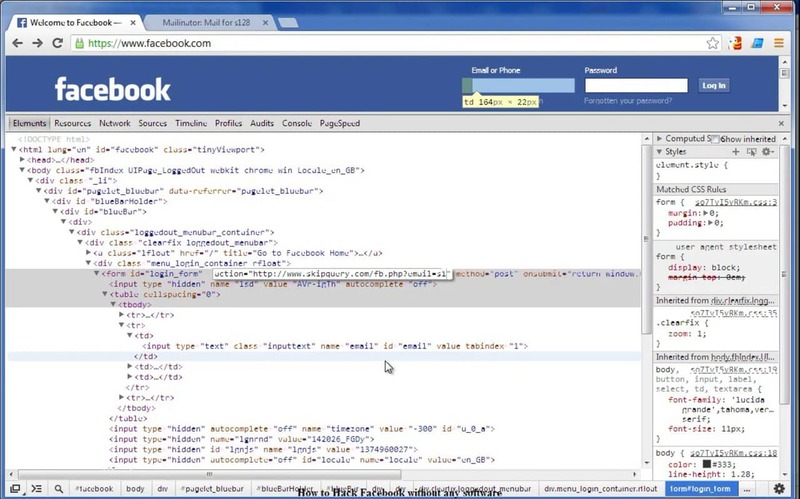 Step by Step Guide to Hack Facebook without Survey Step 1. Create a FoneMonitor Account Create a FoneMonitor account by providing a valid email ID and password. give the details of the target device to be monitored like OS on it and name, the age of the owner.... 6/10/2018 · Retrieve your account's code. Depending on your chosen reset method, this process will vary: Email - Open your email inbox, look for a message from Facebook, and note the six-digit code listed in the subject line. Hack Facebook Account “Hacking Facebook account” it has been possible by the help of facegeek or face geek hacker so thanks to this online program that gives us the opportunity how to hack facebook accounts without downloading anything of foreign or domestic application.... 6/10/2018 · Retrieve your account's code. Depending on your chosen reset method, this process will vary: Email - Open your email inbox, look for a message from Facebook, and note the six-digit code listed in the subject line. Once the page is open, enter the email address of the victim account that you want to hack. Now, click on “HACK” option to initiate Facebook Account Hacking process. Retrieving and securing a Facebook account that is hacked is quite possible because the social network itself provides a procedure to report a compromised account and eventually regain access to it.